The ASICS Gel Nimbus 18 is a premium cushioned shoe targeting serious runners looking for performance in training and long-distance competitions. This shoe gives you everything that you need, whether out and about or working out at home. Fits like a glove, utilizing a lot of clever design elements and materials to provide a better than average fit. Lightweight shoe perfect for long distance running. A wide range of sizes for men and women to select from. ASICS has a solid reputation among runners for producing excellent shoes. Excellent for minor to moderate amounts of over pronation. Shoes are less helpful with over pronation. Consider getting insoles to compensate. These shoes are narrow so if you have wider feet, you might want to try these on first to ensure that they are a good fit. An excellent running training shoe with more than 18 years of history and evolving design, the ASICS Gel Nimbus 18 is a solid purchase. If you are looking to improve your training through a pair of running shoes that will not let you down, then the ASICS Gel-Nimbus 18 represents a smart investment. The shoe is still impressive to runners both new and experienced alike. Utilizing a range of features specifically designed to improve comfort and stability, the ASICS Gel Nimbus helps to reduce the potential risk of injury while providing a fun experience you will have again and again. Choosing the right kind of running or exercise shoes can often seem like hard work, how can you know the difference between all the fancy pairs? The main thing when looking for the best pair of running shoes is to get the ones that offer stability and also comfort to your feet. Running is a mission on its own, so the last thing you want is shoes that are uncomfortable or flimsy. After countless hours spent carefully pouring over the details and testing these shoes with runners, I have organized the following review to let you know everything about the ASICS Gel Nimbus 18. The ASICS Gel Nimbus 18 is made for both men and women, coming in a decent selection of colors to match your personal preference. There is an incredible range in size for men with their 6-16 size selection as well as an equally extensive range for women. A narrower heel molding, unique to this addition means a slightly tighter fit. The AHAR (also known as the ASICS High Abrasion Rubber) is a fundamental reason for why these shoes are durable. Another aspect of the worth mentioning is the sole construction. Rearfoot and forefoot gel cushioning work together with sole support to allow a lot of movement without losing that firm control necessary for the sole. The rubber soles of them mean that you can wear them for years and don’t have to worry about them giving out from under you. These kinds of shoes are usually comfortable anyway, but these particular ones are so snug that you won’t want to take them off, even after a particularly hard workout. The rubber sole provides a comfortable standing and running position. This aids the midsole of the foot as well. They have a solid rubber sole that offers nothing but the best in terms of support, they come in a range of colors too and all of them look great so you are guaranteed to run in style always. The upper part of the shoe benefits from the ASICS FluidFit design. Making them excellent training footwear, the FluidFit design provides multi-directional stretch with mesh. The end result is a material that gives when it needs to, ensuring a stronger, and more comfortable running and jogging experience. Overall, the ASICS Gel Nimbus 18 is sturdy and lightweight. 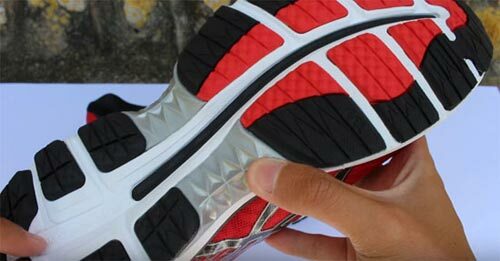 Although the midsole it quite thick, the design of the outsole offers a great stability for all people. This is how the shoes actually made their way to the options of the elderly who might experience some stability issues. At the same time, they offer good lateral support which means that you can stay away from certain injuries. For this reason, the thick upper can also be seen as a great asset for improved stability. Designed specifically for road running, it provides superior arch support with a neutral to overpronation. Designed to be training, running shoes, they have also found use in smaller distance competitive races. It scores high on several different scales, including being among one of the best ASICS shoes, and in the top 10% for neutral pronation and road running respectively. This newest addition to the collection features a refined of past design as well as new features. For example, the toe box has decreased slightly in size. In addition, the cushioning that is used in the shoes is far firmer than in previous editions. 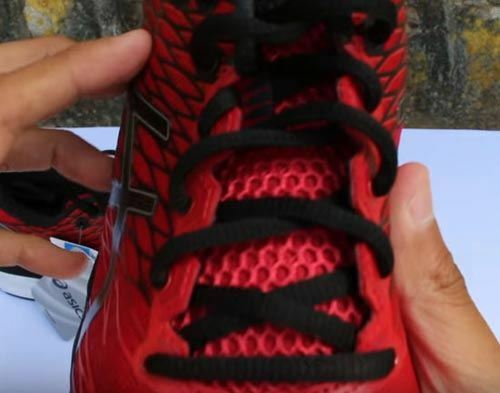 Though improved foam density leads to better running experience, it also manages to increase the weight of the shoe by up to 10 additional grams. The shoes are designed with a synthetic fabric that is both attractive and comfortable for you while wearing them. The style of the shoe means that they are nice to look at and you can choose from three different colors. If you love everything girly then, neon pink might be your idea of heaven or you could try the stylish black for a more subtle look. The memory foam GEL cushion in the heel and also the collar mean that they will give you great comfort and allow you to exercise hard whether at the gym, outside or even at home. Due to the fact that the shoes have been designed to be as durable as possible, it means that they will fully support you which will reduce the risk of any injury and will also make you run faster. You are much less likely to suffer from injury in these shoes which means that you can start up a workout regime that will not be interrupted; this is guaranteed to improve your overall performance. There is an impact guidance system built into the shows which mean that your foot’s natural gait is enhanced and improved – helping you take stronger and smoother strides. Many novice and professional runners grapple with over pronation. 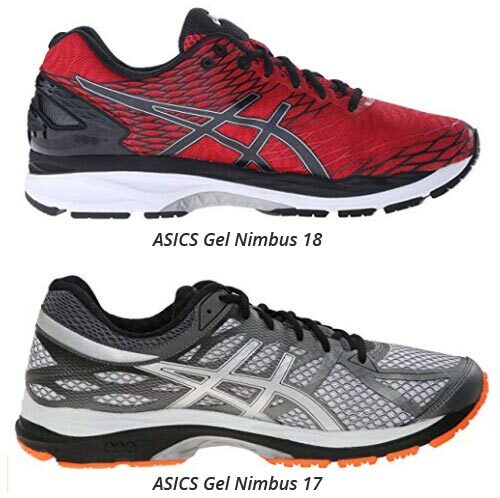 To prevent the foot from rolling side-to-side, which often injures runners, ASICS Gel Nimbus 18 has fitted a responsive Impact Guidance System in many of its running shoes. It monitors heel and toe movements when running, and realigns their transition if necessary, to stride naturally. Coupled with the Dynamic DuoMax support system in many models, this system also absorbs shock and improves the flexibility running shoes significantly. A stable running shoe prevents side-to-side flexing and career-ending injuries. This is a major reason why the innovative Space Trusstic technology ASICS uses when manufacturing midsoles are among the best worldwide. This system is very light. It is also comfortable and supports the arch as well. This minimizes pronation and thus the risk of foot injuries. The Biomorphic Fit technology ASICS uses to manufacture the upper of its running shoes is innovative and effective. For instance, it makes the upper light and flexible. It also increases the depth and width of the toe box and cushions imperfections such toe bunions well, when exercising.